Liverpool may really fancy their chances of pulling off a big result this evening due to the amount of injuries and suspensions Paris Saint-Germain have to contend with. As noted by our friends at Empire of the Kop, PSG travel to Anfield without five key players, with their defence and midfield particularly depleted. Of course, the Ligue 1 giants still have a strong squad and look as strong as any side in Europe up front, but you’d have to fancy Liverpool will have chances to score tonight. PSG XI vs Liverpool for tonight’s Champions League clash? 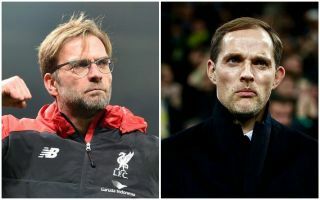 Tuchel is not one to be wedded to a particular system, so although he’s mainly played with a back four this season, it might make sense for him to try a 3-4-3 formation or something similar this evening. The German tactician is without Dani Alves and Layvin Kurzawa as options in the full-back positions, and unless he plans on giving summer signing Juan Bernat just his second appearance for the club, he’s in a bit of trouble at left-back. There’s been some talk of Angel Di Maria filling in as a wing-back, and that’s what we’ve gone for here – though in truth, if it’s up to the Argentine to keep Mohamed Salah quiet on that side, the Egyptian could have a field day. Marco Verratti and Adrien Rabiot are expected to miss the game, say Empire of the Kop, leaving PSG without much protection for their defence in midfield. Lassana Diarra should be the best defensive option available in that area, but there’s not too much in the way of choice to partner him, with Julian Draxler perhaps dropping deeper to play alongside the Frenchman. That’s not a midfield LFC should fear, however, with the likes of Naby Keita and James Milner surely able to get some joy against this unconvincing pairing. Can Liverpool keep this young man quiet tonight? Up front, that trio will surely start the game and it’s up to the likes of Virgil van Dijk, Trent Alexander-Arnold, Andrew Robertson and Alisson to have the games of their lives against them. This has the makings of a goal fest and a real classic early on in this season’s Champions League.